In addition to being regulated by the Fair Debt Collection Practices Act (FDCPA), Wyoming collection agencies are also regulated by Wyoming debt collection laws. Discover: Wyoming collection requirements, bad check laws (NSF), statutes of limitations for both debts and judgments, garnishments plus Wyoming collection agency license and bonding information. Double the face amount plus damages equal to collection cost and reasonable attorney fees. See federal law for consumer credit sale, lease or loan. Up to 65% for child support arrearage. (F) Collects debts incurred in this state from debtors located in this state by means of interstate communications, including telephone, mail or facsimile or any other electronic method, from the debt collector’s location in another state. (B) Any person whose principal office is located outside the state of Wyoming and who only maintains a branch or satellite office in this state. (xiii) “This act” means W.S. 33-11-101 through 33-11-116. (viii) Any licensed attorney acting in an attorney-client relationship with the creditor, and who conducts the collection in the true name of the client. (c) Repealed by Laws 1993, ch. 21, ï¿½ 2. No person shall conduct a collection agency or act as a debt collector or solicitor within this state without first having obtained a license as provided in this act, except that a debt collector or solicitor acting in the course of his employment for a collection agency licensed in Wyoming is not required to have an individual license. § 33-11-103. Collection agency board created; membership; appointment; term; qualifications; chairman. (a) The collection agency board is created. The board shall consist of three (3) members appointed by the governor. One (1) member shall be an attorney-at-law who is actively engaged in collection work. One (1) shall be an officer, partner, owner or resident manager of a licensed collection agency, who is not an attorney-at-law. One (1) shall be a member of the public at large who is neither an attorney-at-law nor affiliated with a collection agency, but who is or has been a user of credit or collection services.ï¿½ Commencing in 1993, members of the board shall be appointed for a term of four (4) years.ï¿½ Members of the board shall serve until their successors are duly appointed and qualified. (b) No person shall be appointed as a member of the board who has not been a bona fide resident of the state of Wyoming for at least five (5) years immediately prior to his appointment. The attorney and the officer, partner, owner or resident manager of a collection agency shall have been engaged in the collection business within the state of Wyoming for a period of five (5) years immediately prior to appointment.ï¿½ The member of the public at large shall have at least five (5) years experience as a user of credit or collection services. (c) Upon the death, resignation or removal of any member of the board, the governor shall appoint a member to serve the remaining unexpired term. Any member of the board may be removed by the governor as provided in W.S. 9-1-202. (d) Members of the board shall elect one (1) of their members chairman to serve for a term of two (2) years. § 33-11-104. Collection agency board; compensation, per diem and travel expense. All members of the collection agency board shall be paid salary, per diem and mileage in the same manner and amount as members of the Wyoming legislature when attending any regular or called meeting of the board. Salary, per diem and travel expense for all board members shall be paid solely from the account containing the license fees established and payable under this act. § 33-11-105. Powers and duties of collection agency board. (a) The board shall assist and advise the chairman, who shall have charge of the administration of this act. All applications for licenses under this act shall be referred by the chairman to the board for consideration. The board shall investigate the qualifications of the applicant. If the board finds the applicant fails to meet the required qualifications, the board shall reject the application; otherwise the application shall be approved and a license issued on payment of license fees and filing of a bond as required by this act. (F) Has knowingly failed to comply with or violated any provision of this act or the rules and regulations of the board adopted pursuant to this act. § 33-11-106. Authority to make rules and regulations; violations; penalties. The board shall make reasonable rules and regulations for the administration of this act, and for prescribing acceptable professional standards of conduct of licensees. Any violation of the rules and regulations of the board shall be grounds for the imposition of a civil penalty not to exceed one thousand dollars ($1,000.00) or suspension, revocation or refusal to renew any license issued under this act, or any combination thereof. § 33-11-107. Application for license; qualifications; financial statement. (vi) Other information as the board may require to determine the qualifications of the applicant and the resident manager to be licensed to conduct a collection agency business. (b) The application shall be accompanied by a financial statement of the applicant, showing the applicant to be financially sound. (c) All applicants shall have an established office in Wyoming with a bona fide resident of Wyoming as a resident manager of the office. All resident managers shall pass an examination as prescribed by the board to determine the fitness of the resident manager to conduct a collection agency business. (d) The board may collect an examination fee not to exceed one hundred dollars ($100.00) for each examination given. The board shall establish by rule the amount and method of payment of the examination fee.ï¿½ All fees collected shall be credited to the account and used as provided by W.S. 33-11-111. § 33-11-108. Bond required for license; terms, conditions and execution; amount; notice to surety; new bond. (a) The applicant shall be notified when the application is approved.ï¿½ Within twenty (20) days after notification, the applicant shall file and thereafter maintain a deposit with the state treasurer or a bond as required by this act. The license shall be issued upon approval of the bond by the board and the attorney general. The bond shall be issued by a surety company licensed and authorized to do business in Wyoming, in the sum of ten thousand dollars ($10,000.00) and shall run to the state of Wyoming and to any party who may be a claimant. The bond shall be executed and acknowledged by the applicant as principal. The applicant may satisfy the bond requirement of this section by depositing with the state treasurer ten thousand dollars ($10,000.00) cash. (b) The bond shall be conditioned that the principal, as a licensee under this act, shall pay and turn over to or for the use of any claimant from whom any debt is taken or received for collection, the proceeds of such collection less the charges for collection in accordance with the terms of the agreement made between the principal and the claimant. (c) The bond shall cover all debts placed with the licensee for collection. Any claim under the bond shall be presented to the board.ï¿½ The board shall promptly notify the surety. If the surety fails to pay or settle the claim within thirty (30) days after notice from the board, the claimant may bring suit on the bond in the claimant’s own name. The aggregate liability of the surety for any and all claims which may arise under the bond shall in no event exceed the amount of the penalty of the bond. (d) A licensee may file a new bond with the board at any time. A surety company may file with the board notice of its withdrawal as surety of any licensee. Upon the filing of a new bond or a notice of withdrawal, the liability of the former surety for all future acts of the licensee shall terminate except as provided in W.S. 33-11-109. (e) Upon filing notice with the board by any surety company of its withdrawal as the surety of any licensee, or upon the revocation by the insurance commissioner of the authority of any surety company to transact business in this state, the board shall immediately give notice to the licensee of the withdrawal or revocation. Within thirty (30) days from the date of notification the licensee shall file a new bond with the board.ï¿½ If a licensee fails to file a new bond satisfactory to the board within the time allowed, the right of the licensee to conduct a collection agency shall terminate. § 33-11-109. Bond of agency; limitation of actions. No action shall be brought upon any bond required to be given under this act after the expiration of two (2) years from the revocation or expiration of the license issued to the licensee and principal under the bond.ï¿½ Except for any action commenced upon the bond prior to expiration of the two (2) year period, all liability of the surety upon the bond shall cease on the expiration date. § 33-11-110. License; renewals; fee; license nontransferable; display. (a) Fees for the licensing of collection agencies shall be set by the board. All fees shall be established in accordance with W.S. 33-1-201. Each office or place of business shall be licensed separately. (b) Each collection agency license expires one (1) year from the date of issuance. A collection agency license is not transferable. Each collection agency license shall be displayed in a conspicuous place in licensee’s place of business. § 33-11-111. Disposition of fees. All fees and money received and collected by the board shall be deposited with the state treasurer, who shall credit the money to a separate account. All monies paid into the state treasury and credited to the account are appropriated to the use of the collection agency board for the payment of all necessary expenses incurred in administering this act, including the payment of per diem, salary and mileage to members of the board. § 33-11-112. Action upon complaints; records of proceedings. (a) Any interested person may file a verified written complaint charging any collection agency licensee with the violation of this act or the rules adopted by the board, or with conduct that shows the licensee is unworthy to continue to operate a collection agency within this state. The complaint shall be filed with the board which shall investigate the complaint if necessary or refer the complaint to appropriate staff for investigation and referral back to the board for proper disposition. (b) The board, on its own motion, may make, or cause to be made, an investigation of the conduct of any licensee. As a part of an investigation, the board may audit the books and accounts of a licensee.ï¿½ The audit may be conducted by an auditor from the state department of audit or by a certified public accountant contracted by the board. (c) Repealed by Laws 1981, ch. 25, ï¿½ 2. (d) For the purpose of an investigation or for hearing a complaint, the board may hold a hearing in accordance with the Wyoming Administrative Procedure Act. The hearing may be conducted by a hearing examiner. The chairman may subpoena witnesses and books, records and documents relative to the inquiry.ï¿½ Witnesses may be required to testify under oath.ï¿½ If the board finds the licensee has violated the provisions of this act or the rules promulgated by the board, the licensee may be sanctioned by a civil penalty not to exceed one thousand dollars ($1,000.00) or refusal to renew, suspension or revocation of his license or any combination thereof. Any civil penalties collected pursuant to this section shall be paid to the state treasurer and credited as provided in W.S. 8-1-109. (e) A copy of the complaint and a complete record of the investigation and the disposition made shall be retained by the board in the office of the board. § 33-11-113. Records of license and bond actions; confidentiality. (a) The board shall keep a record of all applications for licenses and all bonds filed. The record shall state whether or not a license has been issued under the application and bond. If a bond is withdrawn, replaced or revoked, or the license to operate a collection agency is temporarily terminated because of the failure of the surety on the bond, the facts shall be reflected in the record with the date of filing any order of suspension, revocation or reinstatement. The application form and bond, and records relating thereto shall be open for inspection as a public record in the office of the board. (b) Financial statements, credit reports and other financial information required by the board in support of a license application or in an investigation, and unresolved complaints or complaints found to be without merit are confidential and are not subject to inspection as a public record. § 33-11-114. 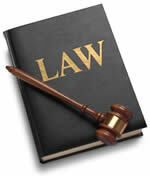 Furnishing or advertising legal services; scope of authority to solicit, acquire or collect claims. No licensee, under the terms of this act, shall render legal services or advertise directly or indirectly, that it will render legal services, but any licensee can solicit claims exclusively for the purpose of collection, take assignments thereof for the purpose of collection by suit or otherwise, and for such purpose, shall be deemed to be the real party in interest in any suit brought upon such assigned claim. § 33-11-115. Prohibited acts; penalty for violations; injunctive relief. (a) In addition to other penalties, any person who carries on the business of a collection agency without first having obtained a license, or who carries on a collection agency business after the termination, suspension, revocation or expiration of a license, is guilty of a misdemeanor and upon conviction shall be fined not less than fifty dollars ($50.00) nor more than seven hundred fifty dollars ($750.00), imprisoned in the county jail not more than six (6) months, or both. (b) When it appears to the board that any person is violating any of the provisions of this act, the board may, in its own name, bring an action in a court of competent jurisdiction for an injunction, and courts of this state may enjoin any person from violating this act regardless of whether proceedings have been or may be instituted before the board or whether proceedings have been or may be instituted under subsection (a) of this section. The proceedings shall be prosecuted by the attorney general, or if approved by the attorney general, by private counsel engaged by the board. § 33-11-116. Prosecution of violations. The district attorney shall prosecute all violations of this act occurring within his district. collector the right to treat you unfairly. Knowing and abiding to the proper Wyoming debt collection laws is important for both creditors and collection agencies alike. There are debtor’s rights attorneys who are just waiting for creditors or collection agencies to slip up. If you mistakenly violate the Wyoming debt collection laws, you could create a liability for your business and even open yourself up to a expensive lawsuit. Please note: Wyoming debt collection laws can change over time, and you need to consult with an attorney before you use this information.